One of the most highly esteemed truffles, extremely rare due to its need for an uncontaminated environment and high level of biodiversity conditions. Rich in water and mineral salts it ranges in size: from that of a walnut to an orange, in rare and fortunate cases it can become of exceptional size. 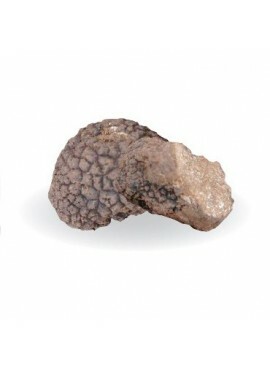 It is considered the "diamond" of truffles for its preciousness and its commercial value. 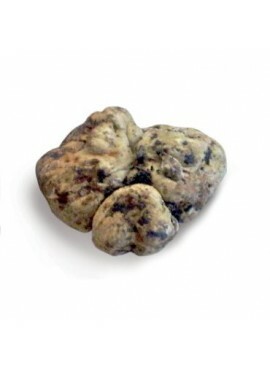 The uncinate Truffle belongs to a category of truffles highly appreciated in France known as "Truffe de Bourgogne". It is a quality that ripens in the Autumn - Winter season. It has high organoleptic qualities, aesthetically perfect it reaches considerable size and thanks to the cold winter climate it is not attacked by flies and insects. 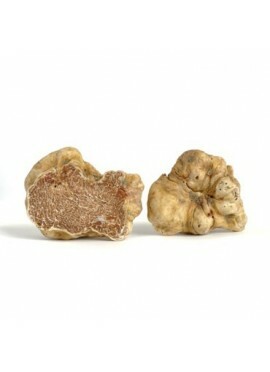 Its flavour is much more intense, distinctive and pleasant than that of the summer truffle. 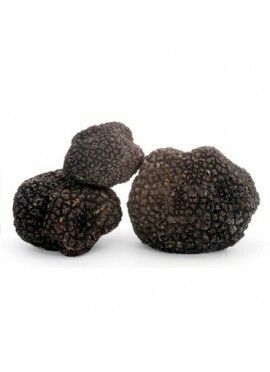 A black truffle of excellent culinary qualities, the black outside surface is covered in pyramidal warts; it reaches remarkable size even up to 700 grams in weight. It has an intense and inviting aromatic fragrance and you can perceive the aroma of earthy woodland. It is the best truffle to be used with game (hare, pheasant, woodcock, wild boar) due to its variability in flavour, good and pleasant to the palate, but not always delicate and mild. It does not reach large dimensions sometimes like a walnut other times like an orange. It has an irregular tuber shape, gibbous, lobated, lacking a protuberant base. Flesh and pulp at the beginning is of an ochre and light colour, upon ripening they take on a reddish brown or purplish brown colour.